This is the proposed cardback for the 93-back Power of the Force carded figures. Notice that they added Yak Face as the additional 93rd figure. 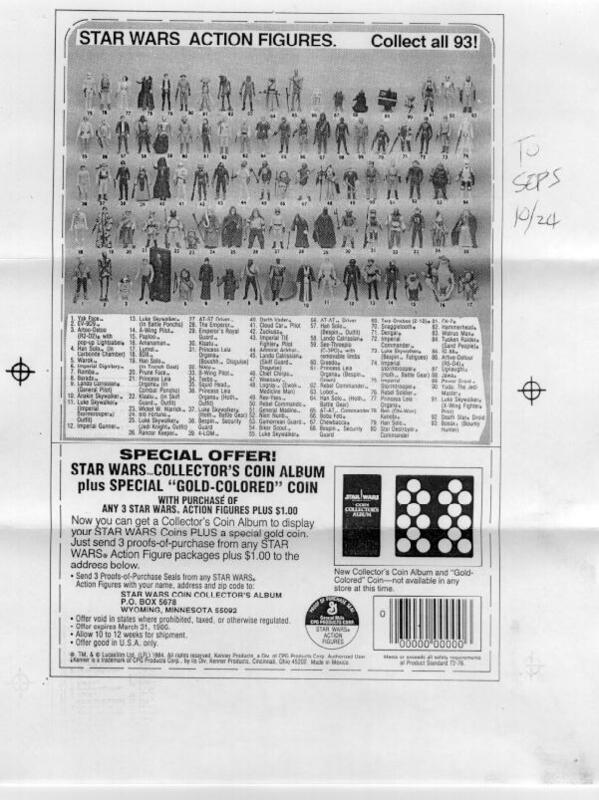 You can also spot a mail-in offer that would never see the light of day--the Power of the Force Coin Collectors Album. The back of the card also makes mention of the gold 63rd coin which was never offered to the public.